With the new service, Allegiant’s schedule in Destin (airport code VPS) now includes either seasonal or year-round service to 21 destinations. “With a unique focus on leisure travelers, Allegiant flies all non-stop service built around an ‘out-and-back’ model whereby aircraft and crews return to base after a day of flying,” Allegiant said in a statement detailing its upgrade for Destin. “The base will not only afford many more options when it comes to adding routes and expanding service, but will also give us the opportunity to contribute even more to the community and the state’s economy,” Allegiant CEO Maurice Gallagher said in a statement. The company’s business model has historically been built around offering non-stop flights from small and medium-sized markets to destinations that appeal to leisure fliers. 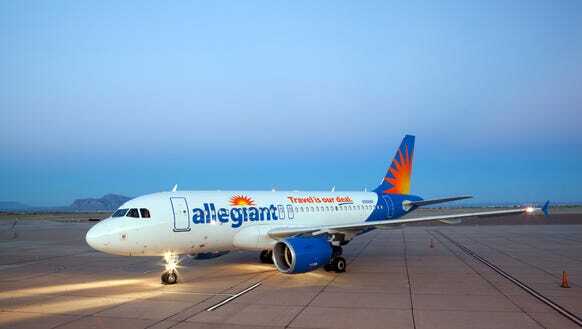 Allegiant still serves numerous small markets like Grand Island, Neb., and Plattsburgh, N.Y, but it has increasingly been moving into bigger markets such as Newark, Baltimore, Austin, Cincinnati and New Orleans.